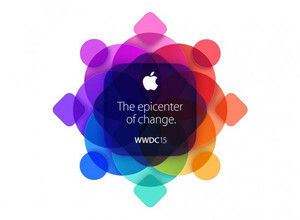 This Monday, Apple held their World Wide Developers Conference, WWDC. This annual event is where Apple typically announces the next generation of their software and services. This year was no different, with Apple announcing Mac OS X El Capitan and iOS 9. As with every year, a lot of new features were announced for Apple platforms at the conference, but I’m going to go into detail on one of them: device search. The ability to search through your device has existed on iOS devices for quite a while, but search is about to become a lot more powerful. In the past, you could swipe down on the home screen to access your search bar, that Apple calls “Spotlight”. Using this search bar, you can quickly launch apps, or search content on certain Apple apps, like text messages and contacts. In iOS 9, Apple is opening up the search functionality to every app developer. Any app can expose its content to Spotlight searches. For example, a retailer can allow the user to search through their store locations without opening their app, right through spotlight. Apple has even indicated that some search results can show up even if the user doesn’t have the app installed, which could help users discover new apps that might be useful to them. The extent of this ability hasn’t been fully described, however. 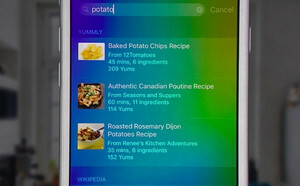 The new search features in iOS 9 may represent a shift in how users use their apps. In the past, to access information in an app, you would have to explicitly launch it to access anything. Now, apps can present their data to the user, even if they don’t remember that they had the app installed. After performing a search, the user can scroll through a list of search results from apps all over the device. Information will no longer as isolated as it was in the past. The new search features will allow new kinds of apps to become useful as well. There will likely be a new interest in dictionaries, thesauruses, encyclopedias, and other reference apps that can display their results in spotlight search. These apps may never need to be opened from the home screen, but they would be very useful for search results. Overall, search improvements will likely be one of the most substantial changes in iOS 9, and it will be interesting to see how apps will adapt to this new ability.